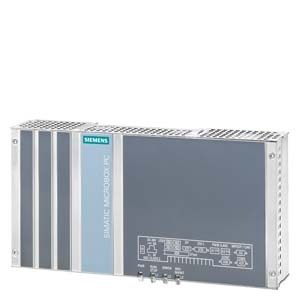 SIMATIC Box PCs provide mechanical engineers, plant engineers and control cabinet makers with particularly rugged industrial PC systems for use in powerful yet compact applications. The two integrated Gigabit Ethernet interfaces (10/100/1000 Mbit/s) can be used for IT communication and for data exchange with programmable controllers such as SIMATIC S7 (with the "SOFTNET S7" software package). The optional floating PROFIBUS interface (12 Mbit/s) can be used to connect distributed field devices or for coupling to the SIMATIC S7 (with the "SOFTNET for PROFIBUS" software package). The PROFINET interface can be used for connecting distributed field devices or for controlling drives.